With the January Transfer Window coming to a close soon, the Chelsea Management is sure to make room in the squad by letting go of certain players. The Chelsea squad has often been called aging, aged prehistoric and its whereabouts. Nothing new there. For a squad which boasts of a large percentage of players on the wrong side of 30 it comes as no wonder when goal drought ridden Fernando Torres blamed Chelsea's slow playing pace for his lackluster performance in front of goal. When watching Chelsea play a lack of pace and creativity is evident. A boost has been given by the inspired signing of Spaniard Juan Mata but still Chelsea have more or less struggled for goals. Below is a list of players who are no longer crucial to the side's progress and must be offloaded to create some breathing space and also help blood some great youngsters waiting in the wings. (Bringing in youngsters is necessary to avoid a Fabio Borini repeat from occurring). 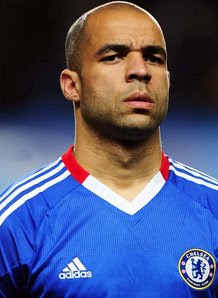 Alex "The Tank" da Costa was signed by Chelsea in 2004. A player for whom Chelsea waited three years to receive his work permit has now moved out beyond even the fringes of the Chelsea squad. Famous for his fiery freekicks and physical strength, the former Santos man and PSV Eindhoven loanee no longer is a part of Chelsea manager Villas-Boas' plans. A £4 million offer has been reportedly accepted from Paris St.Germain where Alex will be reunited with former Chelsea boss Carlo Ancelotti after turning down an offer to move to local rival Queens Park Rangers now managed by former Chelsea player Mark Hughes. Alex, a former Juventus target will now look to resurrect his flagging club and national career after having accepted that his Chelsea career is now over. We bid a goodbye to Alex who will be remebered for his cannonball free-kick against Liverpool in the 4-4 Champions League encounter in 2009. The Portuguese fullback was purchased as a part of Jose Mourinho's Portuguese contingent from FC Porto for €20 million. A consistent and strong performer he has been called a workhorse by many. He is capable of playing on both flanks. 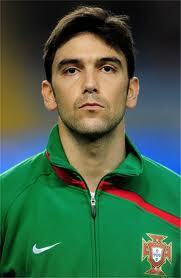 The biggest problem with Paulo Ferreira is his injury proneness. Often he is injured for long periods of time. Receiving his first start of the season in the 3-1 defeat to Aston Villa, Ferreira has been reduced to a bit role in the Chelsea squad and retains his place only on experience and reputation. Once purchased for an astronomical fee he is now rated in the region of €2 million and would add great strength too a mid table squad. With young defenders Tomas Kalas, Patrick van Aanhlot and Ryan Bertrand all nipping at his heels Ferreira's time in the Chelsea team is now up. The players departure seems imminent if not this transfer window but the next.